At the coronation night of Miss World Haiti, Stéphanie Morency was crowned the new queen of Haiti. She has now become the representative of Haiti at Miss World 2018. This year was very important for the Haitian beauty pageant as they did not send a representative to Miss World 2017 due to lack of funds. Stéphanie is 26 years of age and is professionally into Business Administration and is also a project coordinator. She did her schooling from Christ the King Secretarial School and went to university at Madonna University in Livonia, Michigan. Stéphanie is from Ville De Petit Goâve, Ouest, Haiti and lives in Port-au-Prince, Haiti. She works at Sterency Collection, a local business in Haiti and volunteers at a foundation named Tzu Chi Foundation. Stéphanie loves spending time with her family and loves to motivate others in life. 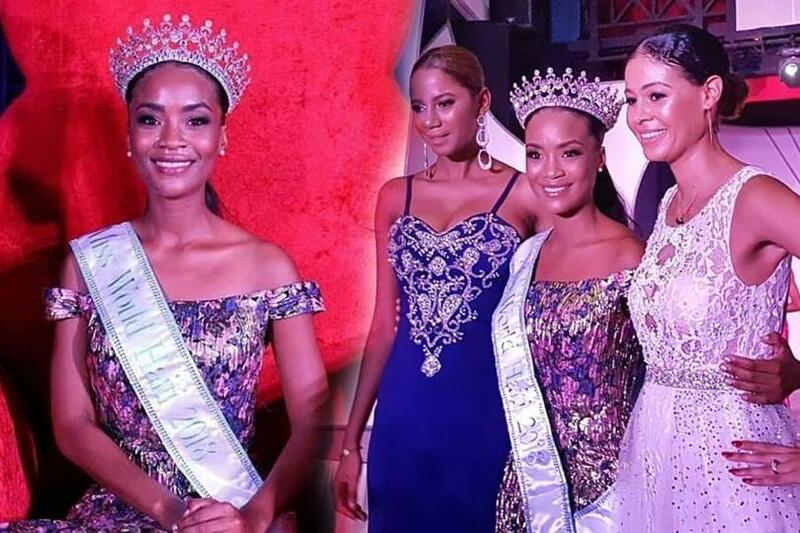 The other contestants at Miss World Haiti 2018 were Fajaldy Gelin, Macela Theodore Salcedo, Bovely Bazile, Shedly Janvier, Inès Noel and Mideline Phelizor. Stéphanie succeeds Miss World Haiti 2016 Suzana Sampeur from Port-au-Prince. She was unplaced at Miss World 2016. Haiti is yet to win the title of Miss World for its country. The closest Haiti has come to winning the crown was when Miss World Haiti 1975 Joelle Apollon from Port-au-Prince became the 5th runner-up at Miss World 1975. We wish Stéphanie all the very best for her national representation at Miss World 2018.